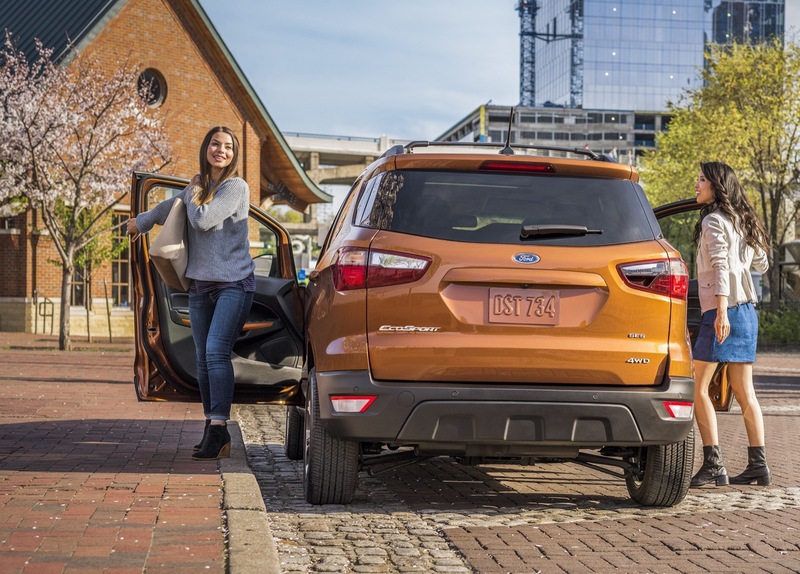 Ford’s sub-compact EcoSport crossover SUV is quickly gaining in popularity in the United States, with sales volume reaching 54,348 units in the 2018 calendar year. A few minor changes are coming to the 2019 Ford EcoSport, based on information compiled by Ford Authority. 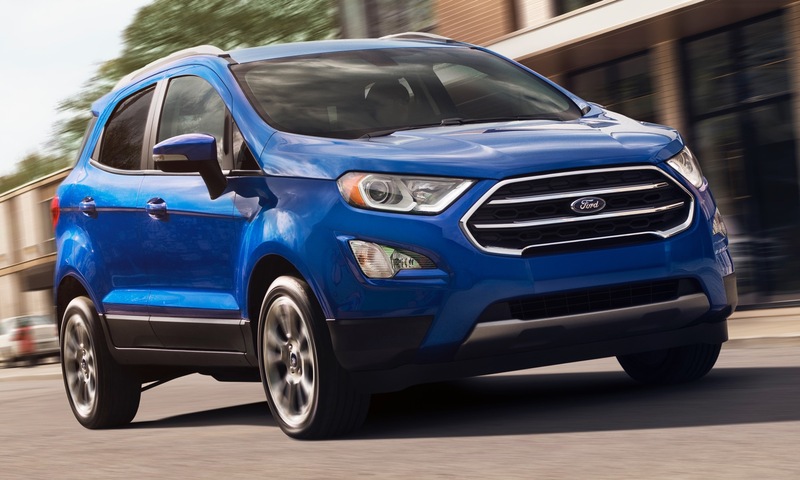 No colors have been added to or deleted for the 2019 model year, meaning that the 2019 Ford EcoSport continues to be offered in ten exterior colors and two interior colors. Curiously, the SES trim slots above Titanium on the EcoSport. Both engines are mated to a six-speed SelectShift automatic transmission. Front-wheel-drive is standard for the 1.0-liter engine, while four-wheel-drive is paired to the 2.0-liter variant. The 2.0-liter motor is optional on S, SE, and Titanium trim level, but comes standard on the SES trim. In addition, the Engine Block Heater is now available in all states as a standalone option. Previously, it was standard in the states of AK, MN, ND, SD, MT, WI and WY and availability in all states required a Fleet Identification Number (FIN). Heated sideview mirrors become standard on Titanium and SES trims; previously, they were part of Cold Weather Packages. In addition, the SES model gets a new grille with Black Painted Bars and Surround. Previously, it was equipped with a grille featuring Magnetic Painted Bars and Surround. The Windshield wiper de-icer is now standard on SE, Titanium, and SES trims; previously, it was included in the Cold Weather Package. 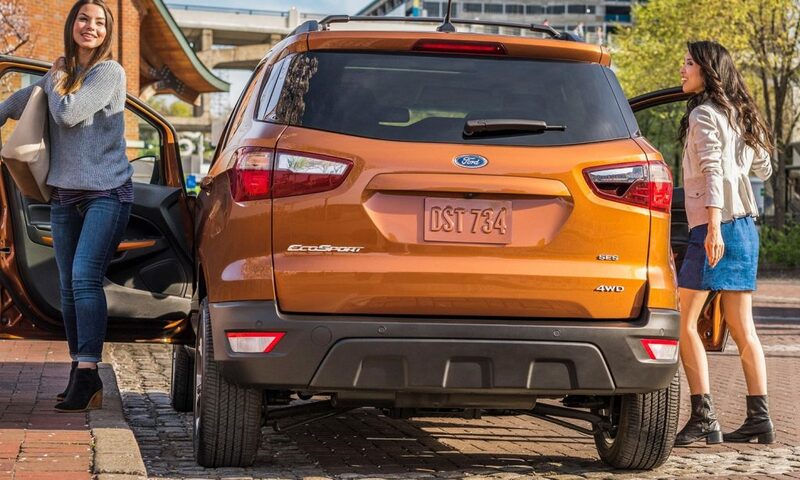 Swing gate mounted spare tire carrier and roof crossbars have been deleted for the 2019 Ford EcoSport. 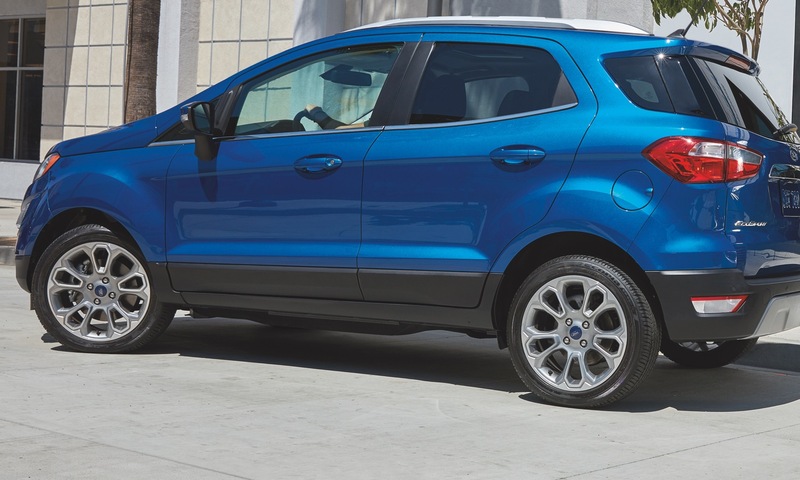 The wheel lineup for the 2019 Ford EcoSport changes slightly: the 17-inch painted machined aluminum wheels are no longer optional on SE, SES and Titanium. Instead, they are standard on SES models. The 17-inch premium dark tarnish metallic-painted aluminum wheels previously standard on SES have been deleted for 2019. The wheel lineup is as follows. 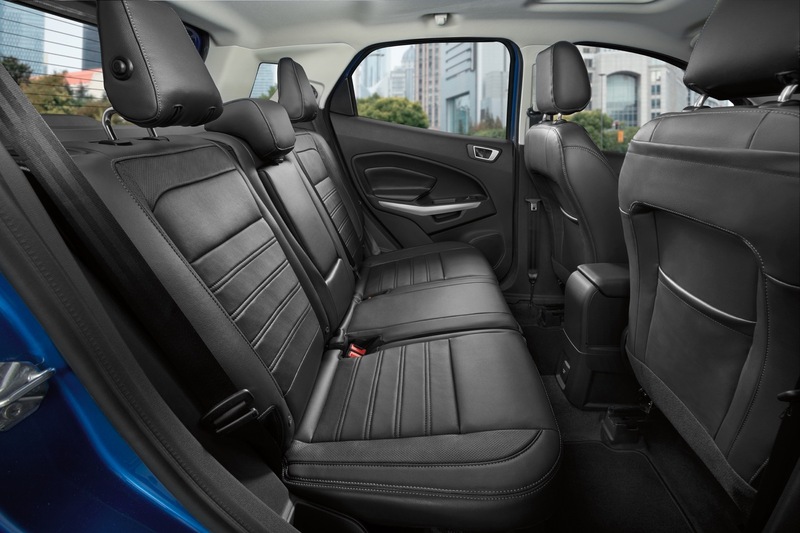 Inside, the 2019 Ford EcoSport sees two changes. First, a heated steering wheel is now standard on Titanium and SES models; it was previously available with the Cold Weather Package. 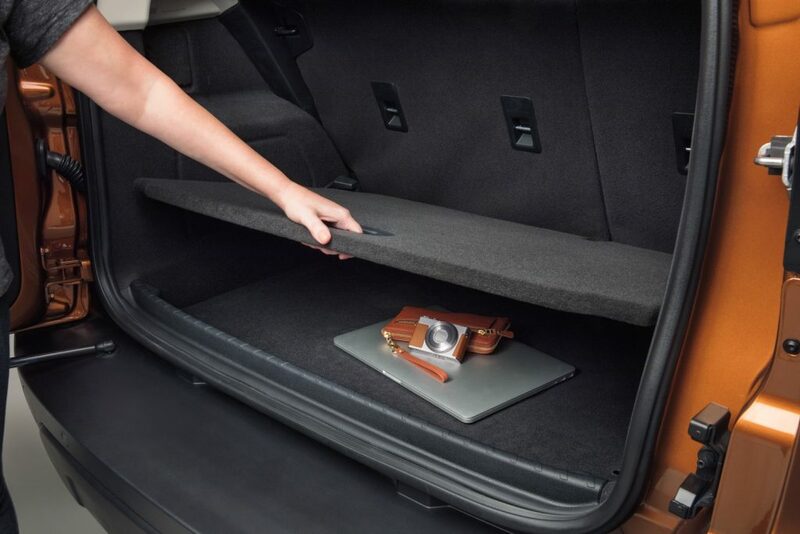 The SES trim level, meanwhile, sees a new interior accent color called: Ano Grey. No safety and security changes have been made for the 2019 Ford EcoSport. Drive Assist systems go unchanged on the 2019 Ford EcoSport. 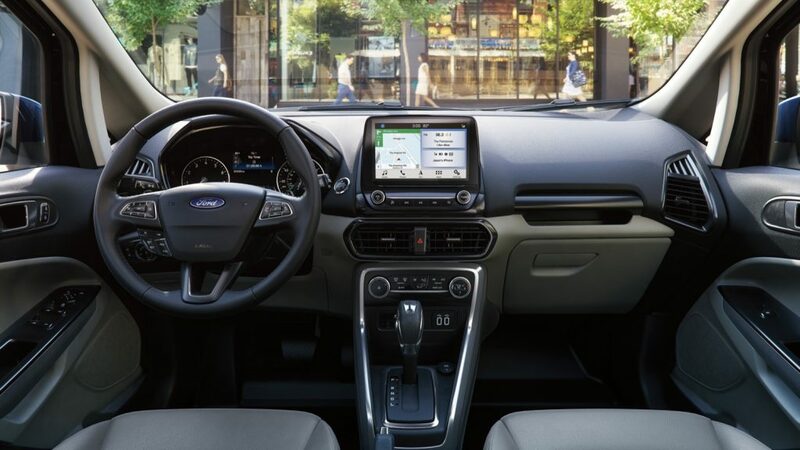 The only change is in terms of the way in which Ford refers to the SYNC Connect system, which will be known as FordPass Connect 4G Wi-Fi Modem for the 2019 MY. New for the 2019 Ford EcoSport is the SES Black Appearance Package, which includes a black painted roof and black hood decal. And that’s all that’s new and different for the 2019 Ford EcoSport. With Ford withdrawing from offering cars in the North American market, the automaker will look to crossovers such as the EcoSport to fill the void in terms of sales volume, revenue and profitability. Here’s to hoping that The Blue Oval has a solid plan to boost EcoSport sales, because the small CUV is being outsold by a significant margin in its segment. Subscribe to Ford Authority for more Ford EcoSport news coverage.